In an agile world, developers are under pressure to release new software continuously, while at the same time, applications are becoming more complex and multi-layered. Many have turned to risk-based testing (RBT) as their saving grace, only to realize that RBT has its limitations—namely, accuracy and speed. The likelihood and impact of the failures are often based on instinct, not facts and data. To meet the true goals of RBT, risk-based testers need help, and the answer is planning augmentation using AI. Chris has been working with QualiTest for 10 years, working across various roles and industries before assuming his current role as a Solution Architect, specialization in test automation, performance testing and leading technical delivery. During his time at Qualitest, Chris has helped define and implement numerous test automation solutions using a variety of tools, frameworks and languages, including implementing Continuous Integration and DevOps processes. 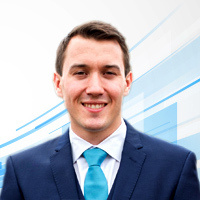 Daniel has been working in software development and quality assurance for over 10 years. He has an MSci in Computer Science & Artificial Intelligence alongside deep experience in open-source and commercial development and testing in a variety of methodologies and delivery styles. 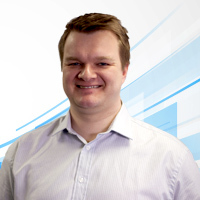 He has managed delivery of crowd-sourced testing of projects for a range of clients across UK/EMEA. He liaises with clients at all levels from engineering to executives, providing tooling, technique & process consultancy and solution architecture to some of software’s most challenging problems across industries.